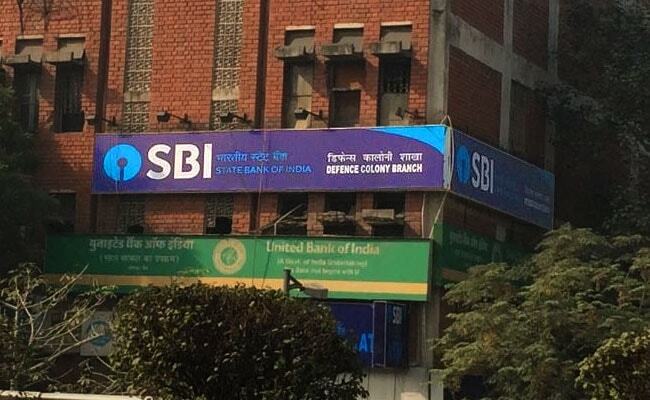 State Bank of India's shares fell 1.7 percent to Rs 296.4 in Mumbai on Friday, extending this year's drop to 4.4 percent. The Reserve Bank of India (RBI) unearthed about $3.6 billion (Rs 23,200 crore) of bad loans in the books of the country's biggest bank, amplifying questions about distress in the financial sector given underreporting by some rivals as well. State Bank of India on Friday said an audit by the central bank showed soured debt was about Rs 23,200 crore ($3.6 billion) higher than what the state-run lender reported for the end of March 2017. The biggest private lender HDFC Bank Ltd. had a Rs 2,050 crore divergence, while ICICI Bank Ltd. said -- without elaborating -- that it isn't required to make disclosures on the topic even as provisions for bad loans climbed. It had reported a divergence in the previous year. Banks must disclose such discrepancies if the gap between reported numbers and the RBI's audit findings is more than 15 percent. State Bank of India's admission is particularly striking because the lender is often seen as a proxy for the nation's economy, where the ratio of bad loans has surged to be among the highest in the world. The problem has grabbed so many headlines that Prime Minister Narendra Modi cited it to attack the policies of his predecessor in parliament last week. "If India's premier state-run bank is reporting such divergence it shows how deep the rot runs in the nation's banking system," said Hemindra Hazari, a Mumbai-based independent banking analyst who has covered the sector for two decades and publishes at Smartkarma.com. "Cleaning up this mess is going to take much more effort and time than what people expect." Most of the accounts identified by the RBI in its risk assessment were already on the stressed asset list "in one way or another," State Bank of India Chairman Rajnish Kumar said in a conference call with reporters. The bulk of the divergence -- about Rs 10,000 crore -- came from the power sector, he said. Divergences occurred earlier as well, though what's changed is the mandatory disclosure of the gaps, central bank Deputy Governor N S Vishwanathan said last month. The RBI has also sought to reclassify loans given by a consortium as non-performing for all the lenders involved if it was considered non-performing on the books of one of them, as part of tighter asset classification norms that came into effect from 2016. "The divergence in asset quality from numbers reported earlier is unnerving," said Asutosh Kumar Mishra, a Mumbai-based banking analyst at Reliance Securities Ltd. "While the loan growth is showing early signs of revival, provisions for bad loans will continue to weigh on profit growth in coming quarters." State Bank of India on Friday reported a Rs 2,420 crore loss for the quarter ended December 31, its first in at least 17 years. Analysts in a Bloomberg survey had predicted a Rs 2,060 crore profit. "I don't want to be very optimistic about the March quarter, nor am I pessimistic," Kumar said. "We can hope for a much better performance in terms of most performance parameters" in the financial year starting April 1, he added.